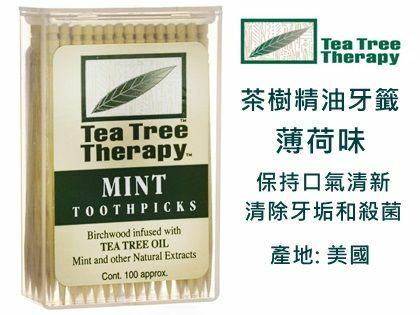 Tea Tree Therapy Mint Toothpicks are made from birchwood infused with Tea Tree Oil and other natural extracts. 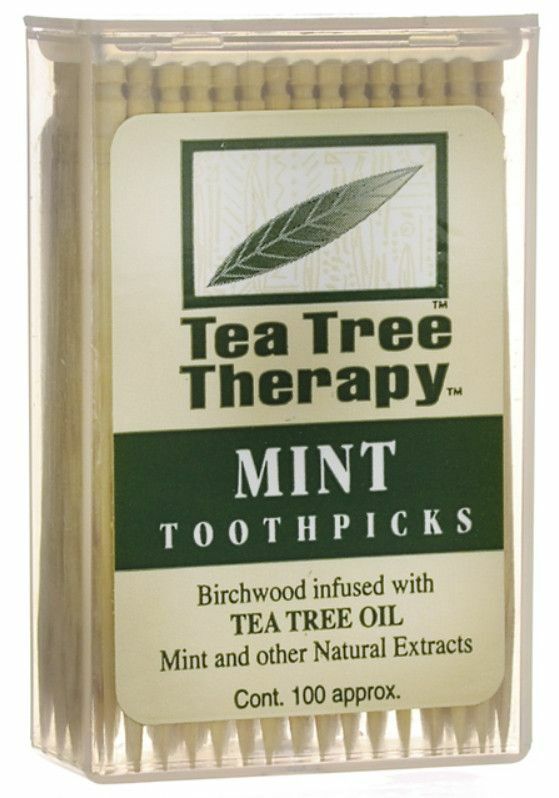 Tea Tree Oil's natural antiseptic properties help freshen the breath and kill bacteria that causes plaque and tartar. Their long lasting flavor can be an aid to those giving up smoking and snacking. Approximately 100 toothpicks included. 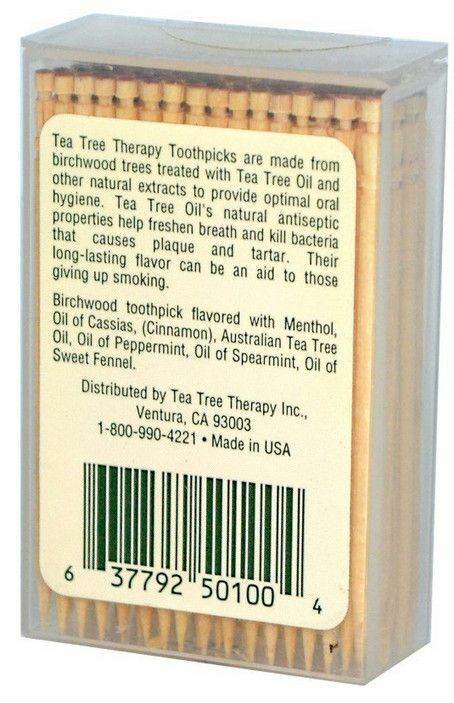 Ingredients: Menthol, oil of cassias, (cinnamon), Australian tea tree oil, oil of peppermint, oil of spearmint, and oil of sweet fennel.